Over the past few years, I have had the great fortune to play in many, many convention games of Fate, run by some of the best GMs involved with it. It is, in a nutshell, a fantastic RPG. I often note that, on the Infinite World where GURPS doesn’t exist, I am surely a Fate gamer. Most of my admiration is for the philosophy behind the rules, things like “make everyone around you look awesome,” the ubiquitous understanding that every part of the game can be collaborative and creative, and the firm belief that every aspect of creating and playing the game be done in the service of fun. These are things I have fully embraced, and have tried to bring into my GURPS campaigns. As for the mechanics of Fate, they are fast, streamlined, even ground-breaking, especially things like the “Fate point economy,” which empowers players to help shape the narrative of the story as it unfolds around the table. For the last year or two I have been using a GURPS version of “Story Points,” with excellent results. But, overall, the Fate mechanics are not really my cup of tea. I much prefer the more traditional rules approach of GURPS. These two systems have very similar goals, they just take different paths to get there. It’s all about the details, I suppose. Some games cry out for exacting detail, like a special forces game where every round of ammunition is accounted for, and things like infected wounds or fatigue could be of critical importance. A “Bunnies & Burrows” game about PC bunnies probably wants the lens set to soft focus, so we can just enjoy a good romp through the woods with some heroic talking rabbits and not worry about getting fatigued or being hungry. I am finding that ways to focus the GURPS rules for a “softer” kind of game, similar to the Fate games I’ve played in, are of great interest to me lately. If you find yourself in a similar position, below are some of the resources I’ve used to make my games a little more fuzzy and “Fate-like” (or Apocalypse World-like, or Sprawl-like, or…). I can’t believe it took me so long to get around to reading this book, because it really is a superb foundation for, “Hey, this is the way GURPS usually works… but if you want this kind of game, let me show you how to do it.” It’s been out since the end of 2008… had I read it sooner, my migration to a quicker, more story-oriented game might have begun much earlier! There are three lines in particular, I’d like to mention, that exist to show GURPS GMs how to best set the dials of the Basic Set for a very specific type of game: Action (cinematic action movies), Monster Hunters (similar to Action, but with supernatural enemies and creatures), and Dungeon Fantasy (old-school dungeon crawls). If these are the games you want to run in GURPS, the tweaking has already been done for you! The other three books I want to recommend were published much more recently, one in 2012 and two in 2014. This PDF was released in 2012 just a month or two after I started using “Story Points” for our games, so the timing was perfect. The entire 25 pages are devoted to discussing various ways of using Character Points to let characters do things like avoid damage, modify or re-roll dice rolls, affect the environment, etc. Most of these options existed from the dawn of the Basic Set, but here they are brought to the fore. This would be the book for GMs looking for something like the Fate Points economy in a GURPS game. 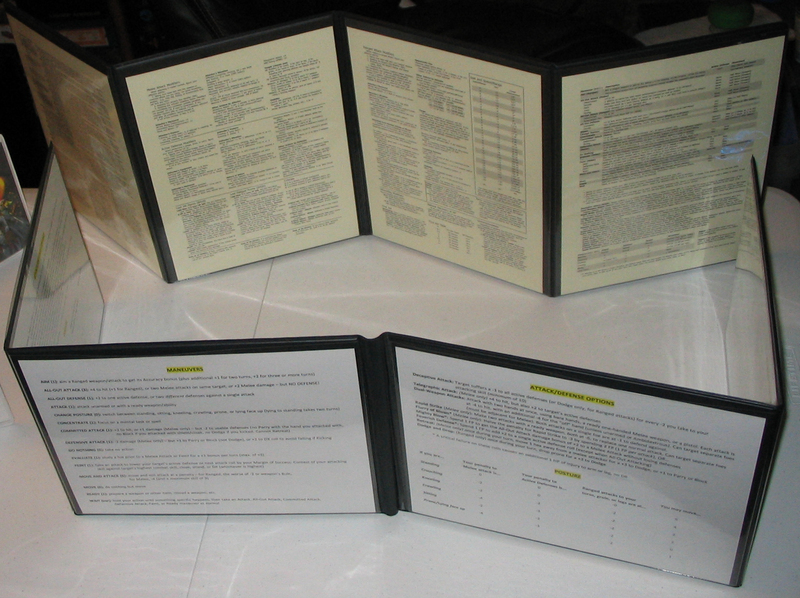 Templates have always been a great way to help players during character creation — they basically let the GM create characters that show exactly what kinds of skills and other traits will be useful in the game world, and act as a guide for players to ensure that they don’t forget or overlook something that would be important for their characters, and this book really delves into the whole process of making and using templates. But it also has an excellent chapter entitled “Niches” which discusses at length the roles that each character might play in the story and how to include challenges and encounters specifically for them that I think is worth the price alone. This is the book that actually prompted me to finally write this post. All of the pre-gens I’ve created for convention games over the last few years have included at least one super-broad wildcard skill, something like “Soldier!,” “Bunny!,” or “Pirate!,” so I find this book extremely useful. It is, naturally, devoted to examining wildcard skills (as first explained on p. 175 of Characters): what they are, how to create them, and how to use them. It also includes about 50 examples! 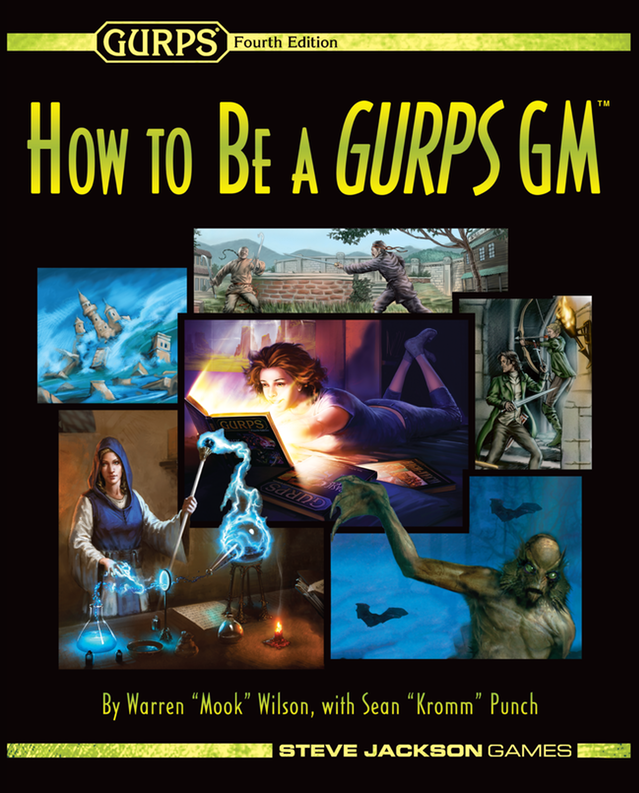 For GMs like myself that love GURPS, and want to use it for games that flow more like Fate and other “fuzzy” RPGs (as well as all the other games I run, too), the tools are there and the customizing has already been done. Are there other GURPS books or rules that you’ve found helpful in this regard? (I’m sure I’ve missed some great stuff in older Pyramid magazines, for example.) Hit me! Dude, this should be on a gaming site or something where more gamers can benefit. It’s better than LOTS of articles I’ve read. 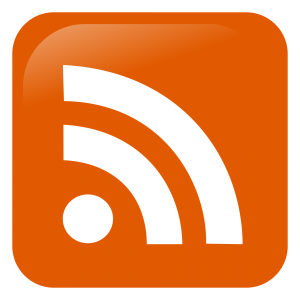 Maybe SJ Games should make you a guest blogger. What spreadsheet or fillable pdf was used to create that character sheet? Thank you for these references. I like Fate Core for pretty much the reasons you mention, and also do not want to give up the depth and solid foundation that GURPS has. I want to play GURPS and add a Fate point economy. Also perhaps story focused aspects, or aspects on places, etc. I love the Fate fractal. Would you be willing to give some more information on how your Story Points system works? The links above are great, but have you distilled them down to a house Fate subsystem for GURPS? Have you run into any problems? Very well written article, with great insights. GURPS was the first rpg book I ever purchased and, after a 15-year hiatus of no RPG play at all, it was difficult to me to understand how it became so behind in the RPG community. I have started playing it again and, not only this article, but the combat examples and sheet you’ve written helped us immensely to become up-to-date with the system. As for the references, I agree with some: Wildcard Skills (easily the best thing that the 4th ed brought with), in-game uses of CP, BAD rating system and the new Range Modifiers Table are great tools to simplify the game, reducing the amount of records that the GM and players have to keep track of. The Chase rules in Action: Exploits, even though the are well written and very cool, I don’t see how putting one more set of over 12 new maneuvers and additional mechanics in to a GURPS game can make it more fun or easy to play. One can argue “but these rules are optional”. Well, so is playing GURPS. 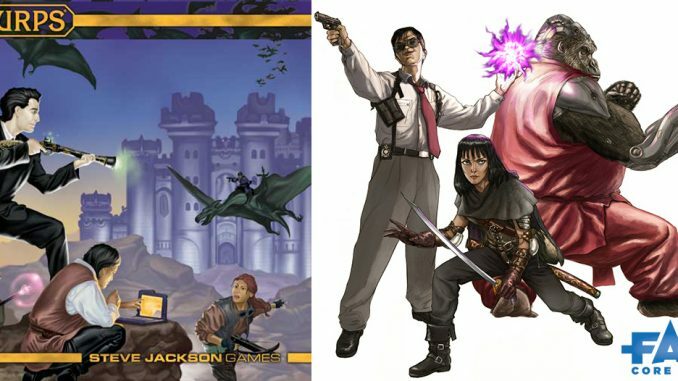 Hiya, Jack, thanks — I’m really happy to hear some of the material here helped you and your group back up to speed on GURPS! I get what your saying with the Chase rules, but for me, yeah, they are totally more fun. Granted, they’ve only come up a few times, but before the Action series any kind of mount/vehicle chase felt a little lackluster, a series of Riding/Driving skills. I think the Chase rules mini-game turns things like a car pursuit into something epic, like scenes from The French Connection or Ronin. It’s like a starship combat system, but for muscle cars? I don’t know — I just dig it. I’m pretty happy with 4th as is, but I’m sure if they ever released a 5th I’d jump on in. But GURPS feels so light to me, at this point. I know exactly which things work for us and which don’t, what switches to turn off or turn up to get whatever feel we’re trying to capture, it just all fades away and lets us get on with the game.